I’m so excited for this weekend!! 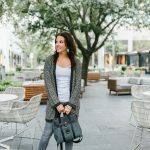 I am heading to the Thrive Blog Conference later this afternoon! The conference is just north of Houston, but I took the whole day off because Houston traffic can be brutal on Friday afternoons! I also kind of really wanted to have a little me morning. You know sleep in, enjoy a cup of coffee or two along with some dog cuddles before heading out to the conference. I do still have to finish packing and running a few errands, so I can’t relax for too long! The hotel is brand new and gave us a great conference rate for 2 bedroom suites. My two roomies and I will each have our own bed thanks to a pull out couch. 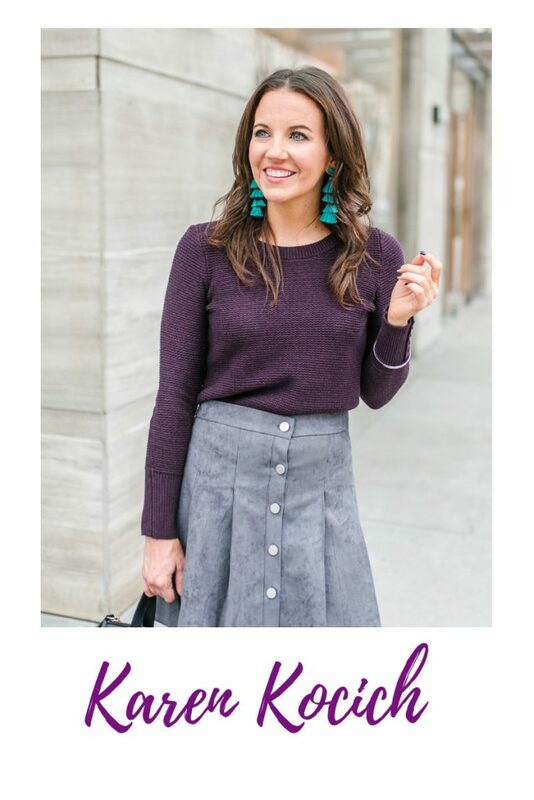 I’m going to be sharing more about how the conference went and what I wore on the blog next week, but if you can’t wait you can follow along on snapchat (ladyinviolet) or Instagram! I promise to post a tour of my two bedroom suite and let you in on who my fabulous blogger roomies are over on snapchat! Now on to the outfit! 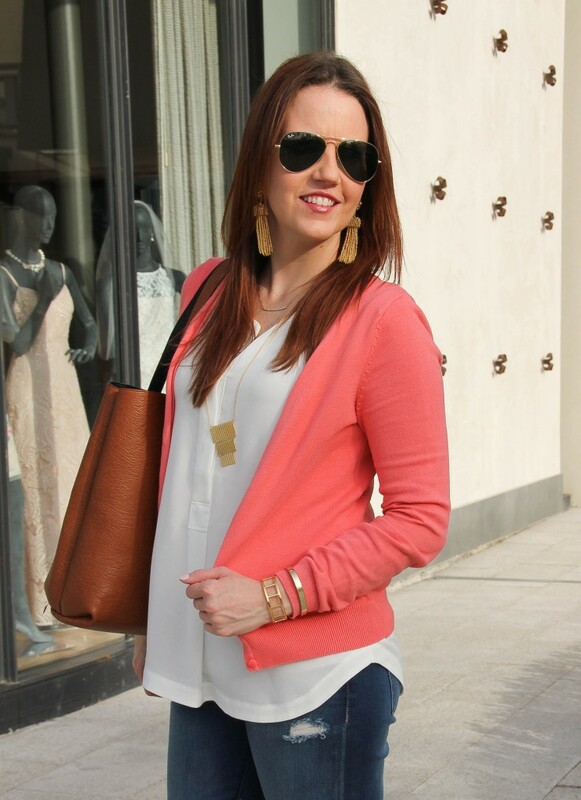 Colorful cardigans are high on the list of my favorite items for spring! I love tossing them on with sundresses or sleeveless tops. 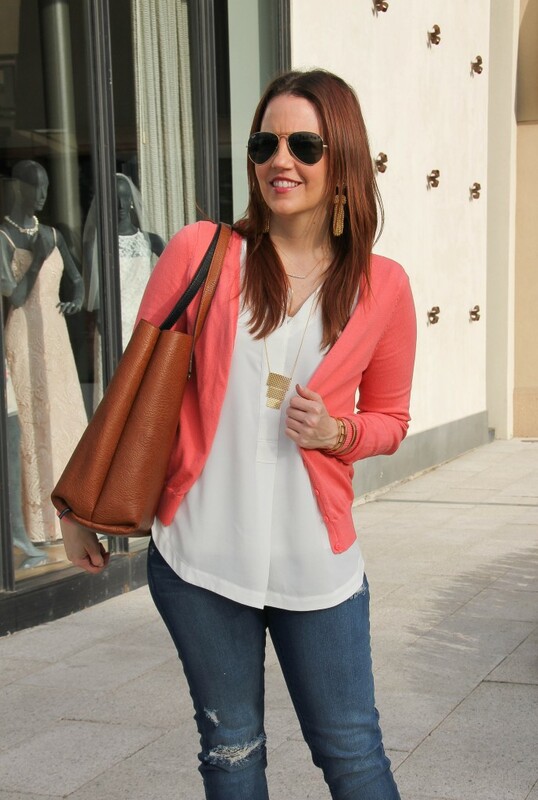 I own them in a few different colors, but this coral one is a spring and summer fave of mine. I love wearing it over some of my black dresses for work to add a fun pop of color. 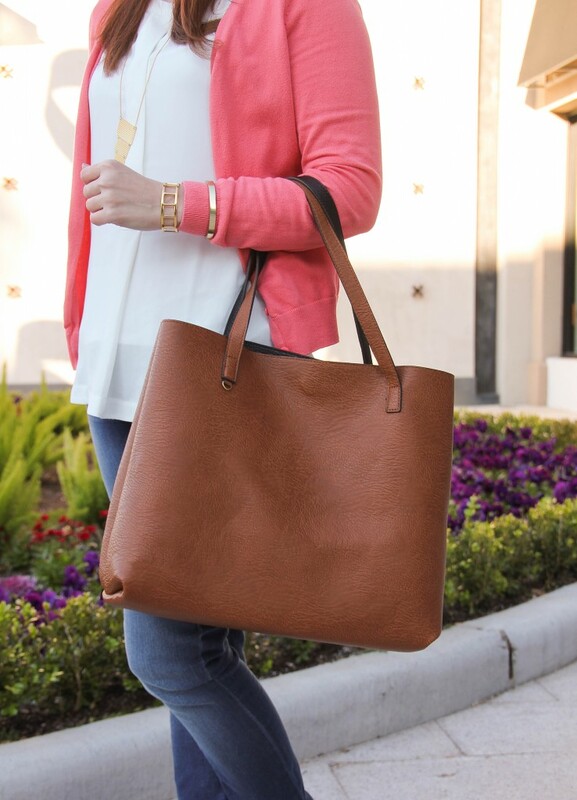 On a little more casual days, it is that perfect addition to a more neutral color palette. This one in particular is a few years old, but I linked a similar color from H&M. 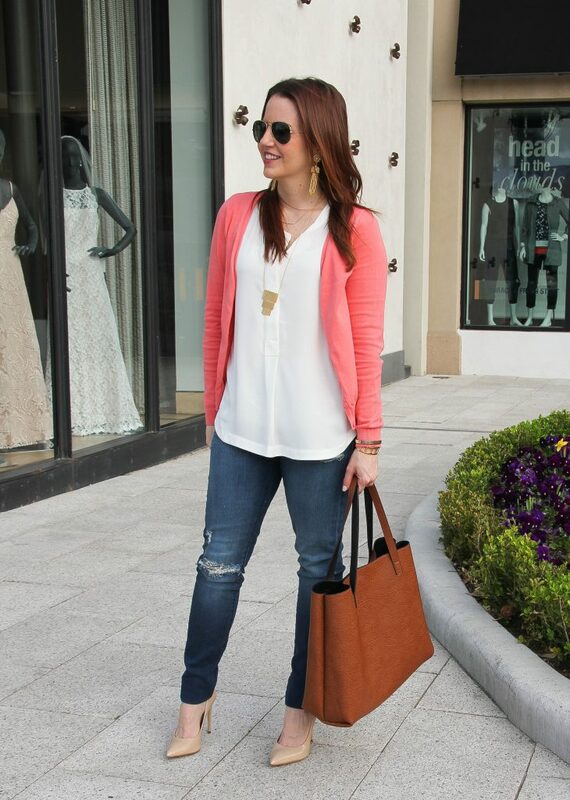 I love buying basics like tees and cardigans from them, because I find them to be good quality and a great price! Plus, their basics come in so many color options!! Alright, I should probably start packing soon or at least making my packing list. If there is anything you would like me to share on snapchat or a future blog post about the conference, feel free to shoot me an email or leave me a comment! 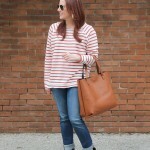 Thanks for stopping by the blog this week! I love your outfit and I love cardigans. Thanks for sharing at the Thursday Favorite Things Blog Hop. Soo cute!! 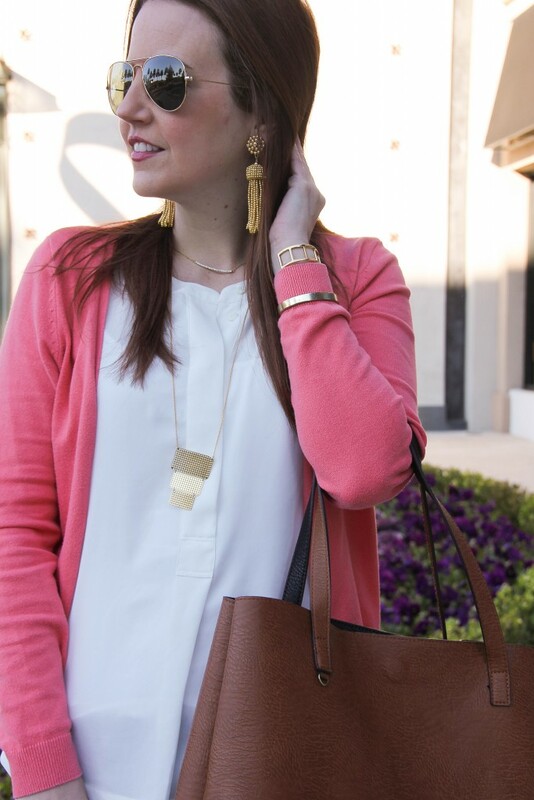 I love a good bright cardigan since I am always cold!! I just realized you were sitting at my table at Thrive!! 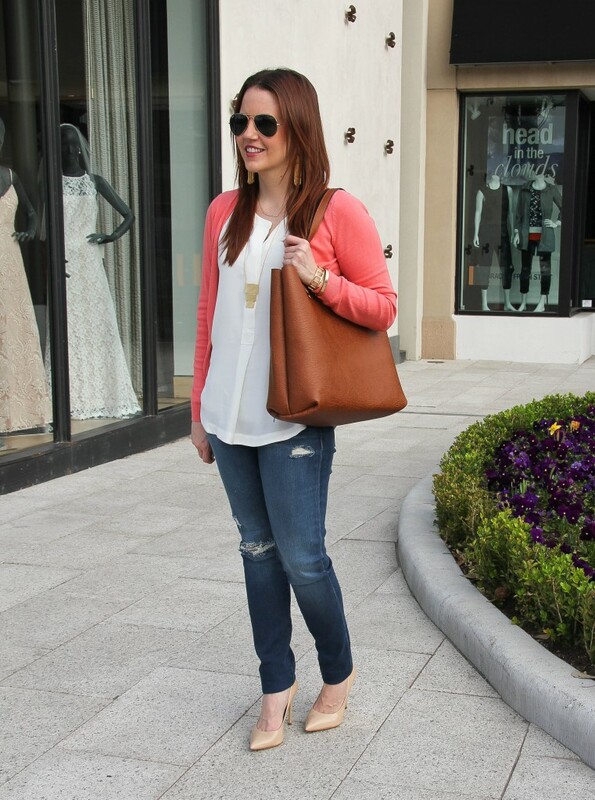 Cute look and a perfect nod to spring! Hope you enjoyed the conference. 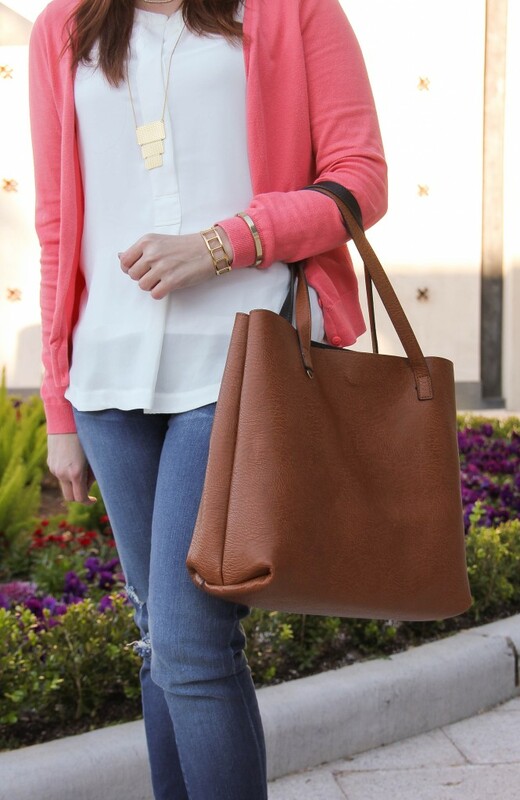 I’m loving the coral cardigan, and the gold accessories! Have a great time at the conference! Cut outfit! Love the colors.